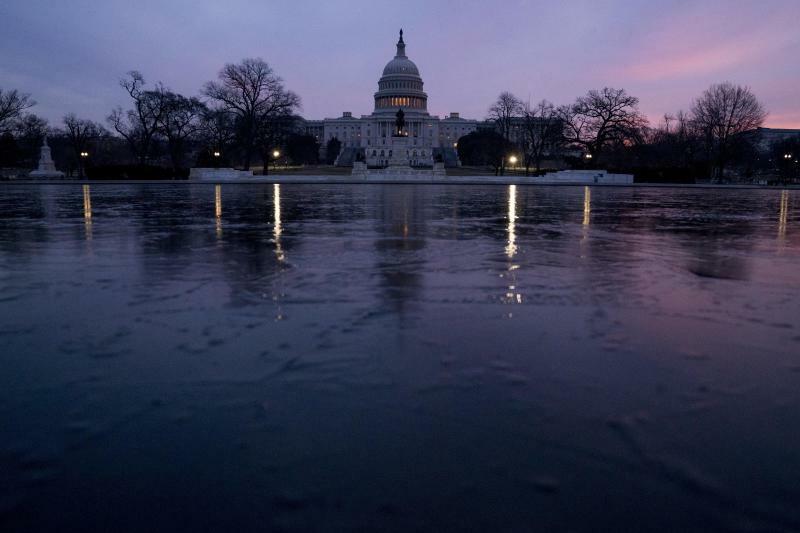 WASHINGTON (AP) -- The federal budget deficit has surged to $779 billion in fiscal 2018, its highest level in six years as President Donald Trump's tax cuts caused the government to borrow more heavily in order to cover its spending. The Treasury Department said Monday that the deficit climbed $113 billion from fiscal 2017. Debt will likely worsen in the coming years with the Trump administration expecting the deficit to top $1 trillion in 2019, nearly matching the $1.1 trillion imbalance from 2012. The deficit worsened because tax revenues are not keeping pace with government spending. The government's fiscal year runs from October to September, unlike calendar years that begin in January. Tax revenues were essentially flat in fiscal 2018, while spending increased 3.2 percent as Congress gave more funds for military and domestic programs. Revenues generally tumbled after December when Trump signed into law $1.5 trillion of tax cuts over the next decade. The tax cuts have caused economic growth to accelerate this year with Federal Reserve officials anticipating gains of 3.1 percent. But the Trump administration initially promised that the tax cuts would pay for themselves through stronger growth — and there is no sign so far of that happening. "The budget numbers make very clear that the faster growth isn't stopping the deficit from increasing," said Marc Goldwein, senior policy director for the Committee for a Responsible Federal Budget, a group that advocates for lower deficits. Treasury Secretary Steve Mnuchin suggested in a statement that the underlying source of the widening deficit was growth in government spending, rather than the tax cuts. "Going forward the President's economic policies that have stimulated strong economic growth, combined with proposals to cut wasteful spending, will lead America toward a sustainable financial path," Mnuchin said. But William Gale, a senior fellow at the Brookings Institution, noted that the tax cuts are unlikely to generate a long-term bump in economic growth. More importantly, most estimates suggest that the deficit will worsen as spending on Social Security, Medicare and other programs increase with the aging baby boomer population. Gale said it's generally better to reduce the deficit when the economy has improved, which can minimize the sting of any changes to spending and prevent steeper cuts to spending in the future. "By cutting taxes in 2017 when the economy was already quite strong, Congress and the administration not only missed a golden opportunity to begin to address the fiscal problem, they actually made the problem worse," he said. It projected the 2019 deficit will hit $1.09 trillion and will total $1.08 trillion in 2020 and $1.01 trillion in 2021 before once again dipping slightly below the $1 trillion mark in 2021 with a projected deficit of $952 billion. The only other period when the federal government has run deficits above $1 trillion was for four years from 2009 through 2011. That's when the Obama administration was using tax cuts and increased spending, along with support for the banking system, to combat the 2008 financial crisis and Great Recession, the worst economic downturn since the Great Depression of the 1930s.